FairyLoot is a monthly book subscription box that specializes in Young Adult Fantasy books, based out of London, England. Some of the recent FairyLoot boxes I have received and unboxed include “Talk Faerie to Me” (January 2018), and “Save the Kingdom” (May 2018) and “Rebels in Ballgowns” (June 2018) Every month they have a different theme and select an exciting newly released fantasy novel, in addition to 4-6 hand selected goodies – like book inspired teas, candles, bookmarks, tote bags, and more! So, how can you get a FairyLoot box of your own (because once you see the awesome books and all the awesome loot in them, I know you’ll want one too)? For more information, check out FairyLoot’s website! They’re also currently hosting a Rep Search on Instagram, so be sure to check that out as well! So now, on to the exciting part – the unboxing! The theme for December 2018’s FairyLoot box was “Dragons”! This box is perfect for readers that love dragons and all things dragon-themed. The box promised to satisfy fans of Harry Potter (JK Rowling), Game of Thrones (George RR Martin), and Throne of Glass (Sarah J Maas), while still including plenty of other dragon goodies. 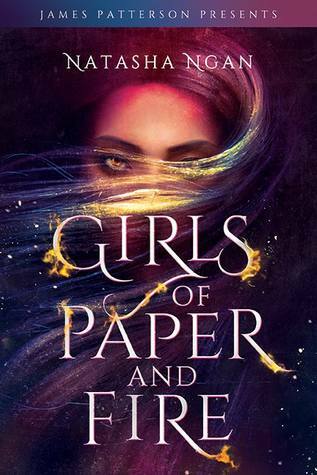 Released in North America on November 6th, 2018, Girls of Paper and Fire by Natasha Ngan is a gorgeously written, brutal, and gripping tale that features diverse characters, hateful villains, a sapphic love story, and empowering female leads. Each year, eight beautiful girls are chosen as Paper Girls to serve the king. It’s the highest honor they could hope for…and the most cruel. But this year, there’s a ninth girl. And instead of paper, she’s made of fire. In this lush fantasy, Lei is a member of the Paper caste, the lowest and most oppressed class in Ikhara. She lives in a remote village with her father, where the decade-old trauma of watching her mother snatched by royal guards still haunts her. Now, the guards are back, and this time it’s Lei they’re after–the girl whose golden eyes have piqued the king’s interest. Over weeks of training in the opulent but stifling palace, Lei and eight other girls learn the skills and charm that befit being a king’s consort. But Lei isn’t content to watch her fate consume her. Instead, she does the unthinkable–she falls in love. Her forbidden romance becomes enmeshed with an explosive plot that threatens the very foundation of Ikhara, and Lei, still the wide-eyed country girl at heart, must decide just how far she’s willing to go for justice and revenge. FairyLoot is a monthly book subscription box that specializes in Young Adult Fantasy books, based out of London, England. Recent themes include “Oh So Regal” (December 2017), “Talk Faerie to Me” (January 2018), and “Save the Kingdom” (May 2018). Every month they have a different theme and select an exciting newly released fantasy novel, in addition to 4-6 hand selected goodies – like book inspired teas, candles, bookmarks, tote bags, and more! So, how can you get a FairyLoot box of your own (because once you see the awesome books and all the awesome loot in them, I know you’ll want one too)? For more information, check out FairyLoot’s website! AND, IF YOU DECIDE TO SUBSCRIBE? CHECK OUT MY FAIRYLOOT PAGE FOR CURRENT DISCOUNT CODES FOR 3 AND 6 MONTH SUBSCRIPTIONS! So now, on to the exciting part – the unboxing! The theme for Junw 2018’s FairyLoot box was “Rebels in Ballgowns”! This box was inspired by stories where the main character is on a secret mission and has to dress up – think masquerade parties and elegant parties! There’s a TON of fantastic items, including a very highly anticipated new release that is getting fantastic reviews (and which won’t be released until July!) – and of course its filled with items inspired by popular YA novels, including Legendary by Stephanie Garber, The Selection by Kiera Cass, and Nevernight by Jay Kristoff! After several months, I am back with another FairyLoot Unboxing! I was so excited to finally be able to snag another one of these boxes! In January 2018, I made the difficult decision to suspend my subscription for financial reasons, but I always knew I’d be willing to snag another box if the opportunity arose! FairyLoot is a monthly book subscription box that specializes in Young Adult Fantasy books, based out of London, England. Recent themes include “Oh So Regal” (December 2017), “Talk Faerie to Me” (January 2018), and Whimsical Journeys (April 2018). Every month they have a different theme and select an exciting newly released fantasy novel, in addition to 4-6 hand selected goodies – like book inspired teas, candles, bookmarks, tote bags, and more! So now, on to the exciting part – the unboxing! The theme for May 2018’s FairyLoot box was “Save the Kingdom”! 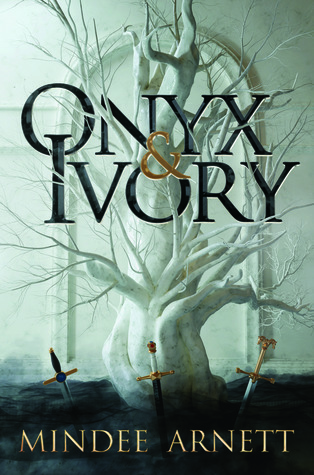 So if you love a good fantasy read featuring badass protagonist and high stakes, then you are going to love this box – and even if you don’t, there’s no doubt in my mind you would love it anyways! There’s a TON of fantastic items, including a very highly anticipated new release that is getting fantastic reviews – and of course its filled with magic, drakes, romance, action, and intrigue! 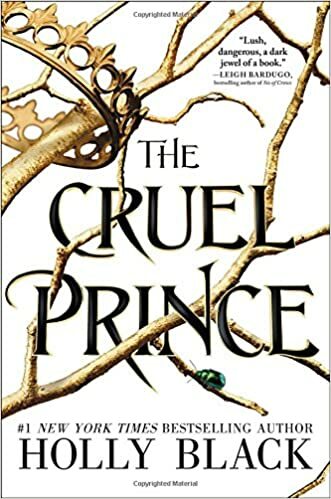 Released on January 2, 2018, The Cruel Prince by Holly Black is the first book in a stunning new series about a mortal girl who finds herself caught in a web of royal faerie intrigue. The Cruel Prince has quickly skyrocketed to stardom, becoming an instant New York Times Bestseller – an accolade that is certainly deserved! Of course I want to be like them. They’re beautiful as blades forged in some divine fire. They will live forever. And Cardan is even more beautiful than the rest. I hate him more than all the others. I hate him so much that sometimes when I look at him, I can hardly breathe. Jude was seven years old when her parents were murdered and she and her two sisters were stolen away to live in the treacherous High Court of Faerie. Ten years later, Jude wants nothing more than to belong there, despite her mortality. But many of the fey despise humans. Especially Prince Cardan, the youngest and wickedest son of the High King. To win a place at the Court, she must defy him–and face the consequences. Before I get into unboxing this January 2018’s FairyLoot box, let me begin with a bit of a delayed unboxing post, because with all the craziness in December, I totally forgot to officially unbox the December “Oh So Regal” FairyLoot Box! So, here’s a quick unboxing photo, because (as always) this box was fabulous! It included a Disney Prince inspired candle (create by A Court of Candles), a Full-Sized Disney Royalty Funko Pop, Book of the Month Everless by Sara Holland, and lots of other bookish goodies, including a key chain, pencil case, and notebook! I would also like to note that this month’s unboxing (which I am so excited for because I adore this box) will be my last FairyLoot unboxing for at least a few months. Even though these boxes are often the highlight of my month, I’ve decided to suspend my subscription for financial reasons – but I can’t wait until I’m able to become a subscriber again! FairyLoot is a monthly book subscription box that specializes in Young Adult Fantasy books, based out of London, England. Recent themes include Villainous (October 2017), All That Sass (September 2017), and Otherworlds (August 2017). Every month they have a different theme and select an exciting newly released fantasy novel, in addition to 4-6 hand selected goodies – like book inspired teas, candles, bookmarks, tote bags, and more! So now, on to the exciting part – the unboxing! The theme for January 2018’s FairyLoot box was “Talk Faerie to Me”, and it was perfect for fans of faeries and Sarah J Maas! So if you love a good fantasy read featuring all things fae, then you are going to love this box – and even if you don’t, there’s no doubt in my mind you would love it anyways! There’s a TON of fantastic items, including a very highly anticipated new release that is getting fantastic reviews – and of course its filled with faeries! 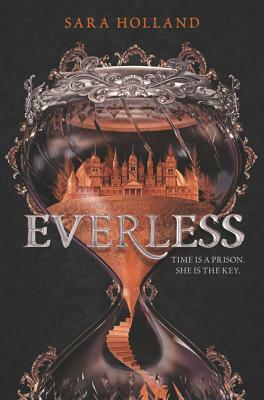 Set to release in North America on January 2, 2018, Everless is Sara Holland’s triumphant debut novel. 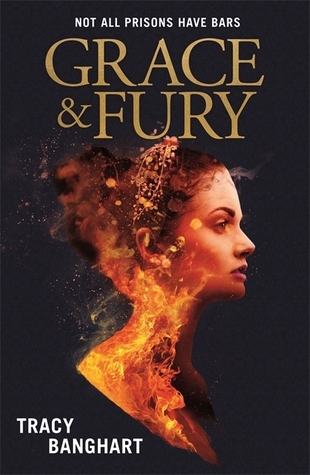 Fans of Victoria Aveyard (the Red Queen trilogy), Kendare Blake (Three Dark Crowns), Vic James (the Dark Gifts Trilogy) and Stephanie Garber (Caraval) will devour this lush novel’s breathtaking action, incredible romance, and dangerous secrets. I simply couldn’t wait to start reading it – the description had me intrigued – and after a relative dry-spell of fantastic books, I was in need of a good read!